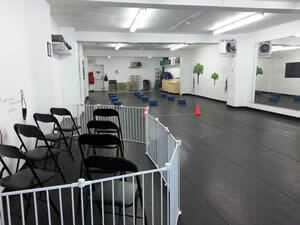 Pet Dog Scenting Training by DogGone Right! Inc. 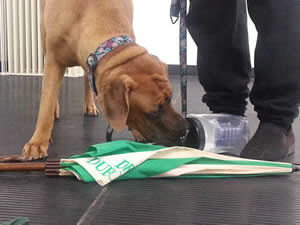 Teach your dog, and yourself the basics of scent detection! Searching drive and technique developed and introduction to (legal) scents for fun games or competition! Active and passive indications, starting rituals, scenting theory will all be discussed and observed. The focus at this level is container searches. • You must provide proof of your dog's most recent vaccination (bring the original and we will make a copy fo you). • Bring a pair of comfortable indoor rubber soled shoes (runners would be best) as we will be moving around the training room and NO outdoor shoes are allowed inside the training area. To reserve your space in class please provide full payment. The preferred method of payment is e-transfer sent to info@doggoneright.ca; via snail mail cheques payable to DogGone Right! Inc, 3198 Danforth Avenue, Toronto, ON, M1L 1B7, in person Cheque and the ever popular Cash. Please call 416-690-2793 to make arrangements to pay in person. To view when classes are taking place, view our Schedule of Classes. Level II builds on the skills of the first level. 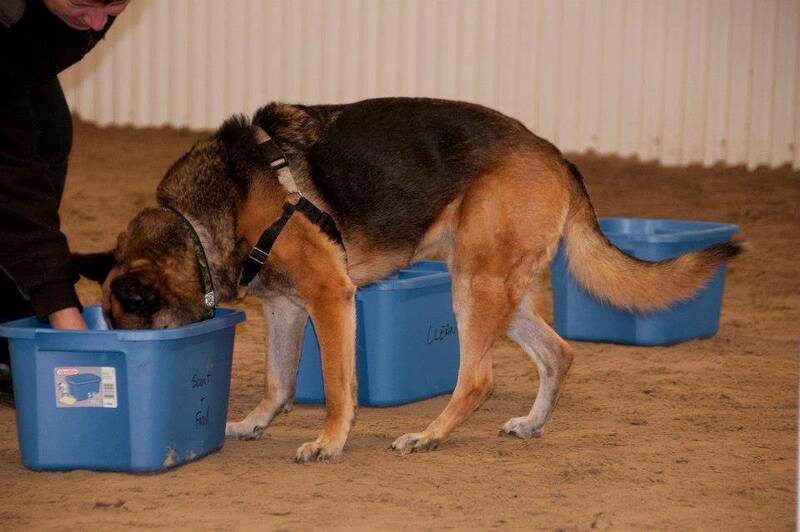 Dogs should be finding scent only to participate in this class. Searches will be more complex and dependant on weather, may include outdoor and room searches. Indications will be started and handling skills will be covered in more detail. 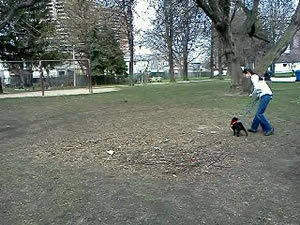 Distractions will be introduced to the dogs and handlers. Is held generally on a Sunday afternoon between April and September (please see our schedule for drop in days) and is designed for people who want to practice. 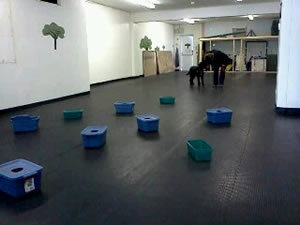 Participants will share space and work together with others to improve their handling skills. A DogGone Right! staff member will be present to answer questions. Pre-requisite: You and your dog must have some basic Scenting knowledge.